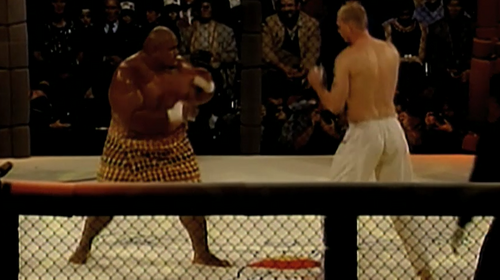 UFC 1: The first ever UFC event featured and eight man tournament with no weight classes, no rules, and no judges. 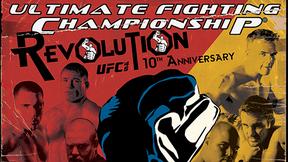 The first ever event to determine the superior fighter in any and every fighting style and martial arts discipline. 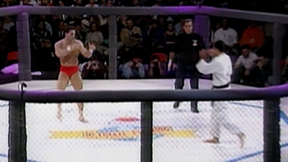 Gerard Gordeau vs Teila Tuli UFC 1 Fri, Nov 12, 1993 (8:40) In the first UFC fight ever(! ), the 6’5” Dutch Kyokushin karate striker Gerard Gordeau collided with the 400 pound sumo wrestler Teila Tuli. No one knew what was going to happen, and no one could have expected what did. Kevin Rosier vs Zane Frazier UFC 1 Fri, Nov 12, 1993 (8:14) An all USA striker’s showdown as former ISKA North American super heavyweight champ Kevin Rosier was set to exchange fists and feet with Zane Frazier, a 4th degree blackbelt in American Kenpo karate. 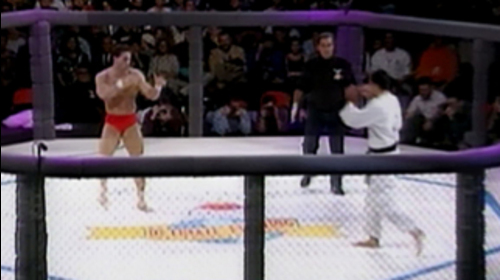 Royce Gracie vs Art Jimmerson UFC 1 Fri, Nov 12, 1993 (8:38) Two of the Octagon’s most mythologized fighters clashed as eventual UFC Hall of Famer Royce Gracie made his professional debut against the only person to wear a boxing glove in a UFC bout, Art “One Glove” Jimmerson. 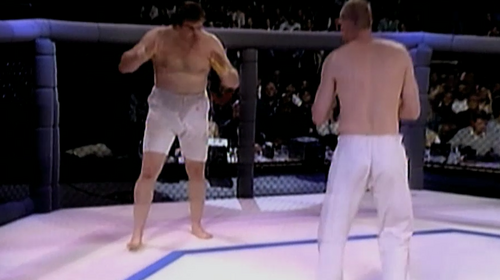 Ken Shamrock vs Pat Smith UFC 1 Fri, Nov 12, 1993 (9:20) One of the most famous bouts in Octagon history, two future UFC Hall of Famers met for the first time as the hulking wrestler Ken Shamrock tangled with the skinny, gi wearing Royce Gracie. Who was going to win - power or technique? Gerard Gordeau vs Kevin Rosier UFC 1 Fri, Nov 12, 1993 (4:40) With one TKO win each under their belt from earlier in the night, strikers Gerard Gordeau and Kevin Rosier met in the semi-finals of UFC 1 to duke it out to see which of these stand-up specialists would be the first fighter to become a UFC finalist. 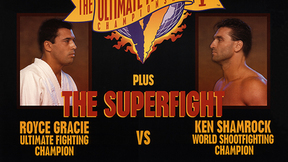 Royce Gracie vs Ken Shamrock UFC 1 Fri, Nov 12, 1993 (9:31) An early favorite to win the first ever Ultimate Fighting Championship, Ken Shamrock looked the part and fought like a champion as well. 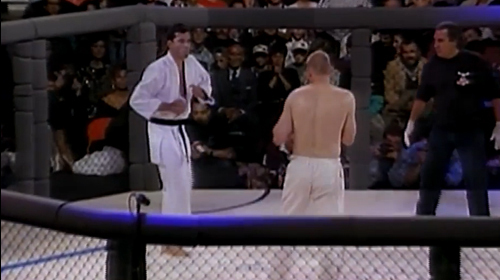 Royce Gracie vs Gerard Gordeau UFC 1 Fri, Nov 12, 1993 (9:31) Following two one-sided performances earlier in the evening, striker Gerard Gordeau met submission magician Royce Gracie to crown the first UFC tournament champion. Who would win as karate battled Brazilian jiu-jitsu?